"Arsenal have won four of their last five Premier League hone matches, while Wolves have lost their last three top-flight outings." After witnessing the impact he has made at Arsenal in such a short space of time, I can't help wondering what Unai Emery would have been able to achieve at Paris Saint Germain if he'd been allowed full control. As it was, the players railed against his tactics after a few weeks, and he was forced to compromise. Although the Spaniard won a slew of domestic trophies in his time in the French capital, his time there was far from the runaway success it could have been. After all, this is a man who led Sevilla to three Europa League titles, a coach who achieved impressive promotions with Lorca and Almeria, a tactician who led Valencia into the Champions League despite losing his best players. Unfettered, Emery is starting to work his magic at the Emirates. The Gunners have put together a 15-match unbeaten run in all competitions, and Thursday's goalless draw with Sporting in the Europa League was only the second time they have failed to score this season. Arsenal have won seven of their last nine home games, and going into this weekend they were just a point shy of the top four. Despite all of this success, Emery is wary of Sunday's opponents Wolves, describing them as a mix of talent and discipline. Emery knows Wolves boss Nuno well from their time as coaches in Spain. Gunners striker Danny Welbeck is out long-term after suffering an horrific injury against Sporting. Matteo Guendouzi is available after missing the draw with Liverpool because of suspension, and there could be starting spots from Pierre-Emerick Aubemeyang and Alexandre Lacazette after they were left out of the first XI on Thursday. Although no-one likes to lose three games on the spin, Wolves supporters shouldn't be overly concerned. While their fellow promoted clubs Fulham and Cardiff are languishing in the relegation zone, the Championship title-holders went into this weekend nine points clear of the bottom three. Coach Nuno isn't one to get ahead of himself, and it's interesting that he has warned his players not to chase a move to a bigger club too early in their development. The likes of Ruben Neves and Helder Costa have attracted plenty of interest, but they would do well to remain with their Portuguese compatriot for at least a while longer. While no-one at Wolves should be panicking about three straight defeats in the league, the lack of a consistent goalscorer is an issue. Just 11 goals have been scored in 11 Premier League matches, and Mexican striker Raul Jimenez is the top scorer with three goals in 11 league games. Jimenez hasn't been a prolific goalscorer in his career, so the firepower may have to come from elsewhere. Nuno has almost a full squad to choose from, with Diogo Jota the only big concern after he missed the defeat to Spurs. Young midfielder Morgan Gibbs-White is pushing for a start after catching the eye against the Lilywhites. Given that Wolves are having a wobble and that Arsenal have been consistently picking up wins in the last couple of months, I'm a bit surprised to see the Gunners trading at [1.7] to take the win here. Arsenal have won four of their last five Premier League home games, and played really well in the most recent one against Liverpool. I wouldn't normally recommend a price of [1.7], but in the circumstances I think it's a wager worth taking advantage of. Four of Arsenal's last seven home games in all competitions have featured fewer than three goals, and given the fact that Wolves haven't scored more than once in seven of their last nine games in all competitions, there's an argument to be made here for backing Under 2.5 Goals at [2.28]. I've watched Pierre-Emerick Aubameyang since his arrival in the Bundesliga with Borussia Dortmund, and there are few players who have been as much fun to watch. His pace and finishing ability make him a dangerous player to try and contain, and he consistently affects the game. The Gabon striker has scored nine goals in his last 12 appearances in all competitions, and at odds of [2.0], I'll happily back him to improve upon that tally. 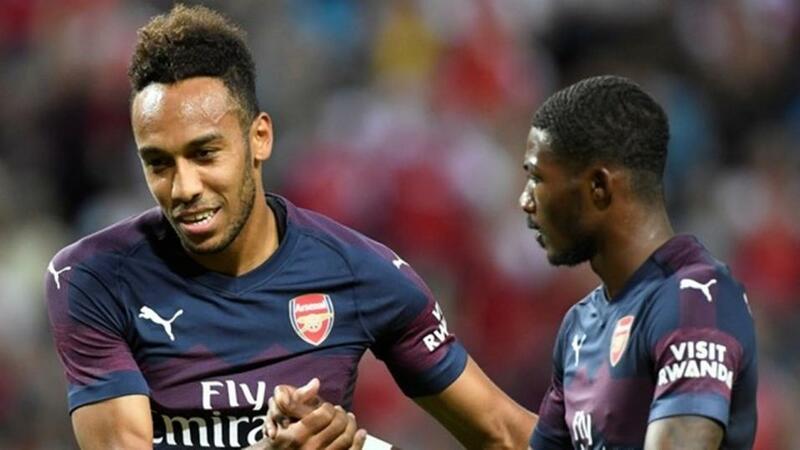 If you want to use the Sportsbook's Same Game Multi feature, you could perhaps back Arsenal to win and Aubameyang to score the first goal at combined odds of 5.41.